I had never shot a gun before. In fact, the closest I had ever been to a gun was while standing next to an armed officer. 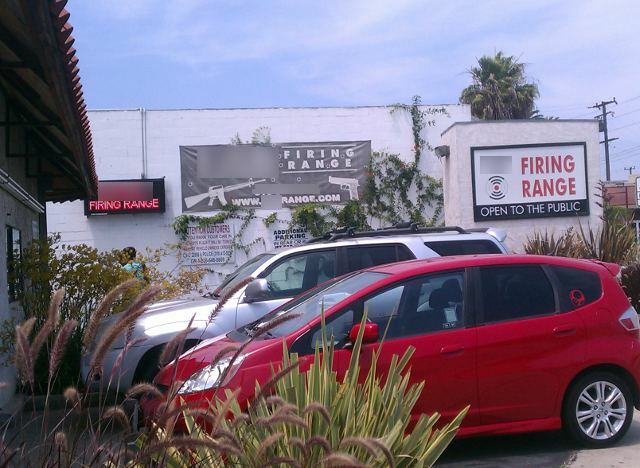 The first thought I had was to just go to the shooting range and watch people. Or I will have a trainer walk me through the handling of these weapons. I expected a long and boring lecture about gun safety with an insistence of how we should be very careful with the weapons. Well that didn't happen. 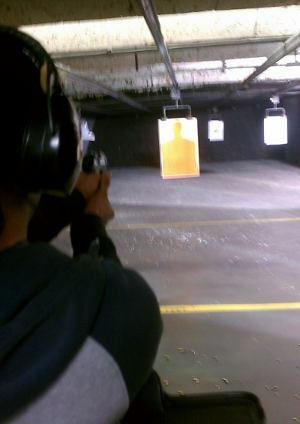 I got to the shooting range first. While I was waiting outside for my friend, I thought that it was cool that I could not hear a sound coming out of the shooting range. My friend arrived all excited and told me he told me how much I am going to enjoy this experience. We got in, 2 minutes passed and I was in booth number four with a 9mm beratta in one hand and a case of 50 bullets in the other. There was no training, no lecture, no second thought put on us. We choose our gun, goggles, ear muffs and headed to the range. Doesn't it sound like every registration page on the Internet? I never thought it would be that easy to get a gun in my hands. When I got back home, I imagined all ways this could go wrong. Now just like Steve Blank said comparing guns to the net is a little stretch but unlike him I saw that Internet safety was just like my experience at the shooting range. The net may seem like a safe place, but identity theft, phishing, scams are not a rarity. A new Internet user goes to the bank of America, opens a new account and the bank agents tells her how easy it is to manage her account online. She goes home create a user name and password and sees all her information and is happy. A few weeks later she gets a message from bnkofamerica.com saying her monthly statement is ready. She clicks on the link and enters her credentials and nothing happens. She tries again and it works, but her statement is not available yet. What she doesn't know is that she just gave her credentials to bnkofamerica.com instead of bankofamerica.com. For an experience Internet user it is hard to fall for this kind of phishing schemes but scammers know their targets very well. I would use a different analogy for how Internet security should be approached but my experience with gun safety was too relaxed to be applied to the Internet. 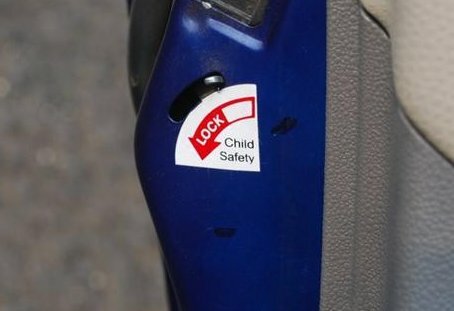 Maybe I would say Internet safety/literacy should be enforced the same way child safety in a car is. Security is not a feature or a choice. It needs to be enforced by default. Think of optional seat-belts in your car.